Craftin Desert Divas Blog: Happy Birthday Lorie Souther!!! Happy Happy Birthday Lorie from PKS!!! Kathy from PKS asked some of us ladies to join her in wishing Lorie a Happy Birthday, so of course I said yes!! Here's my card I made for Lorie. 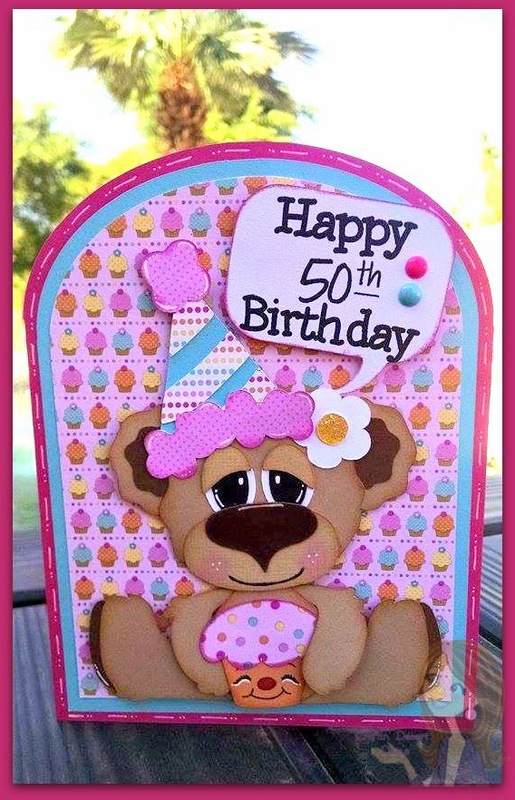 I just had to use the CDD Bring On The Cake Stamps to make that Happy 50th Birthday sentiment. I love that it's so easy to customize what birthday year you are celebrating with this set. 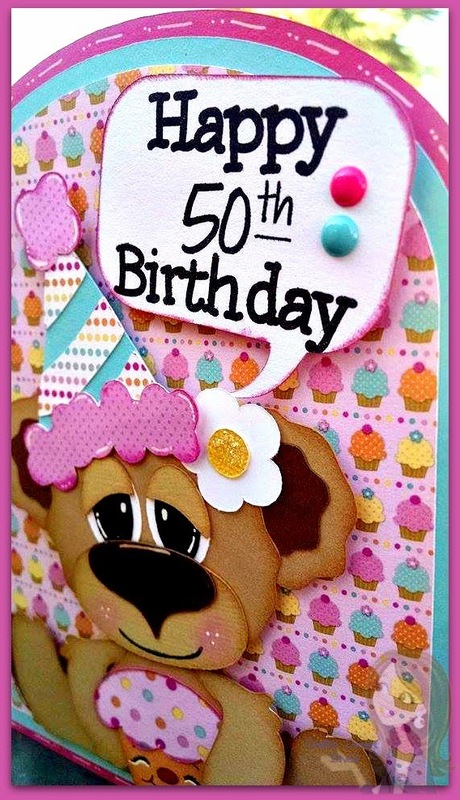 Love this card, the bear is soooo cute! This is so adorable Tara!! Love the paper. This is so adorable and it was so sweet of everyone to make cards for her. You all are awesome! Thank you so much, Tara! I was THRILLED to find this gorgeous card in my mailbox yesterday and I spent much of the afternoon going through all the cards in total amazement. Photos really don't do justice to these beautiful creations and I thank you for being a part of the 50th fun. You gals sure surprised me and made turning 50 a blast!! You did a wonderful job. I think your bear is adorable. What a cute little bear! And I love the background cupcake paper. I just love this card and I looks like Lorie did too. How could she not? So remarkable. Adorable--great colors and I like the cupcake background. This card is absolutely adorable! I LOVE the face on the bear and the little cupcake. I also love the way all of the bright colours tie into each other. Beautiful card!